Game designers looking to start out in the business or those that have a passion and expertise in the craft can always use information that will help them to succeed. No matter where you or your company may fall in the aforementioned categorizations, the following are some useful tips and tricks to help you develop the next best casual game. Secrets of the industry, these can help a bad game become better or tell you when you need to stop and start again. Your casual game design need not focus on a specific group of individuals or target a trending demographic. Instead, focus on creating a game for everyone. Think about how you want the game design to be and do not narrow your market too much. It will, as will be discussed below, find its place in the game's market it supposed to and gamers will respond to a good game that is fit for everyone rather than a narrowed market game. Ultimately, game designers want to turn their creations and craft into monies. There is nothing wrong with focusing on profitability. After all, it is the game designer's job to turn their passion into a lucrative business. However, make sure that you are not focusing on making money in sacrifice of the game itself. Gamers will notice if the cost is too much or if they are spending more for in game purchases that do not meet their needs. Make sure that you are offering a quality product at an affordable price and the quality can lead to more sales and more money in your pocket. After designing your game, there is the inevitable need to market it. Marketing campaigns can be expensive and elaborate. However, they do not need to be that complicated. Often, a good and quality product will market itself. Game designers should allow their creations to work for them by providing incentives for purchase through customer reviews and the quality of the entertainment they provide. Word of mouth promotions are one of the simplest and most lucrative marketing strategies. Too many games and game designers are focused on bringing the next best thing to market instead of looking to the past and what has been successful. Yes, there needs to be a fresh take on the old games people love but this should come with knowledge of the basics. The strongest games and the ones that are being requested by gamers now, are those that call upon the solid foundation of the earliest game designs. Look to the past and you may just find the secrets to the next best thing in game design. Working in any profession or any career gives you a perspective of your product and business that no one else has. It can also cause stagnation and thinking that stays rooted in old ideas. Game designing is no different. To make sure that you are getting the most from you game and its design, be sure to include others in the process. Consider having group workshops for anyone in your business, even outsiders, and get their take on what is new, what is needed, and where game design concepts can go. These fresh ideas can be just the secret you need to making the next big hit and can boost morale for all those employees you work with every day but may not interact with on a regular basis. Knowing your competition and your competitors is important in any game design. However, dwelling on what the others are doing can delay your own design. Follow your instinct and your heart when designing a game and do not focus too much on the other games in your genre. The best games are those that are developed with passion and not those that are made to fit a niche directly. A good game will find its own location in the market. A game should not expect to be successful if it provides the rules and sends the player off with no check in throughout. The greatest casual games are those that continual teach and help the player. This does not mean a continual tutorial of words and of consistent monitoring. Instead, the tutorial should be selective and placed when needed in the game. 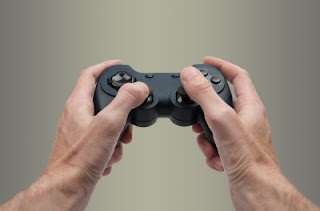 This will help the gamer to feel comforted and able to play when confronted with unknown presences in the game but not feel like they are being babysat. A continual tutorial, then, is needed but does not need to be overt. In much the same way that casual game designs should focus on the roots of the past, they should also get back to the basics in game concepts. Casual games are not about elaborate plots and fantastical story lines. Instead, they are focused on the play of the game itself and basic control mastering to play the game effectively. Do not try and make a game too complicated because it will fail to be casual and, thus, undermine your ultimate game design goals. The greatest games are not those that are worked and reworked to make a bad game look good. If a concept is bad or the path just seems to be a failed one, there needs to be an exit strategy. Games can fail. That is the truth of it and if this failure can clearly be seen in the development stage, game designers must be willing to stop and make a decision on this quickly. If not, energy, talent, monies, and time are wasted when the next big and successful project could be just around the corner. Focus group feedback and testing are a crucial part of game design. You want to hear what consumers, designers, and potential markets are saying about your product and the ways it can be improved. This feedback is crucial to developing a successful game. Yet, simply listening to the words of your participants and testers may not provide you with a clear picture. Often, these individuals use descriptive terms such as “scary” or “too easy” to convey their messages. The reality is though that often these are focused on the visual phrases that come to mind or the first words rather than what it is really their concern. Be sure to think about what they are saying in the full context or ask specific questions when negative feedback arises. This will help to give your casual playing game a greater chance at making the changes necessary to build a solid product. Jason Phillips has authored this amazing guest post. He loves to write reviews and have many websites with tips and guides on gadgets and video games. He has now started writing articles for the site Zombie Games 365. Uso pa naman pagcreate ng mini games at apps ngayon for smartphone OS.